Professor Beverley-Ann Biggs is an infectious disease physician and public health researcher in the Department of Medicine and the Victorian Infectious Diseases Service (VIDS). She is recognised internationally for her work on maternal and child health, refugee health, nutrition, and infectious diseases. She is a Chief Investigator on collaborative projects in Vietnam and Bangladesh that are investigating the mechanisms involved in childhood stunting and impaired development, and developing strategies for prevention. She consults for the World Health Organization, including as a member of the Nutrition Guideline Advisory Group. She directs the Royal Melbourne Hospital (RMH) Refugee Health Program, providing support to general practitioners and other health providers, and a specialist outreach program in rural areas for improved health and wellbeing of refugees and asylum seekers. 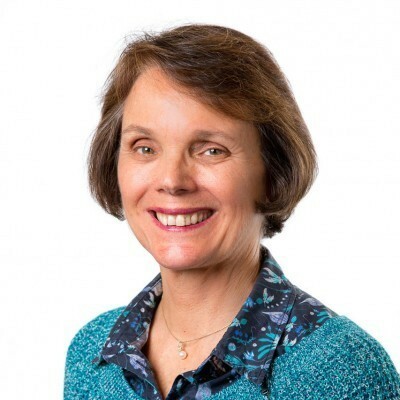 Beverley-Ann has published extensively in the areas of international and immigrant health and has contributed to World Health Organization Nutrition and Australasian Refugee Health guideline development. The group has had a continuous presence in Vietnam since 1996. She is a member of the Victorian Refugee Health Network, which brings together health providers, non-governmental organisations, and Departments of Health and Immigration to advise on policy and programs. She founded the Refugee Health Program at RMH to provide clinical services support, education, and translational research. She has over 120 publications and has received over $18 million in research and program funding. What determines stunting and impaired development in Vietnamese children? This National Health and Medical Research Council (NHMRC)-funded project builds on an earlier randomised controlled trial of micronutrients in pregnancy, and is assessing predictors of child growth and development from birth to three years of age. It is collaboration with colleagues at the Research and Training Centre for Child Development (RTCCD) in Hanoi and Monash University. Is the gut microbiome the missing link in understanding child stunting and its consequences? 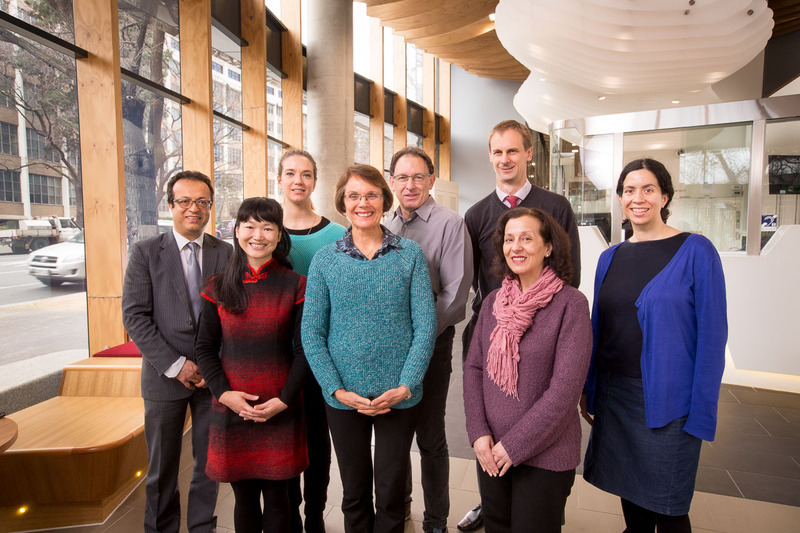 In collaboration with Professor Willem de Vos and his group in Helsinki, Finland, RTCCD and Monash University, Beverley’s group is investigating the role of diet, gut parasites and the microbiome in child stunting in Vietnam. In collaboration with Professor Jane Fisher and her group at Monash University and colleagues at RTCCD, this project has developed an innovative response to improve early childhood development in the context of grave socioeconomic disadvantage. It addresses major risk factors, including macro and micronutrient deficiencies, common mental disorders, domestic violence and inadequate parenting. The intervention will be assessed in an RCT, commencing in 2016 and is funded by Grand Challenges Canada – Saving Brains Initiative and the NHMRC. In collaboration with Dr Sant-Rayn Pasricha, and colleagues at the icddr,b in Dhaka, Bangladesh, and others, this NHMRC-funded trial will assess the clinical benefits and harm of iron supplementation in young infants in a rural setting in Bangladesh. It will commence in 2016. Clinical support and education – a specialist refugee clinic at the RMH and outreach clinics in Kensington and Hoppers Crossing, as well as in Shepparton and Mildura. The Refugee Health Fellows also deliver education to GPs and other health professionals across Victoria. Refugee Clinical Hub – the recently developed Clinical Hub combines an electronic health record and data base system in use at RMH, Royal Children’s Hospital and Barwon Health (CAReHR), with direct linkage (via cdmNet) to GP patient care plans. This improves communication between specialists and GPs for optimal patient management. Translational Research: Does simple lifestyle education influence behaviour or lipid profile in newly arrived Afghan refugees? - this project commenced in 2015 in collaboration with Dr Mehdi Sanati-Pour and aims to recruit 200 refugees in rural Victoria with follow up at six months. These recommendations have been developed in collaboration with over 30 health professionals from around Australia including adult and paediatric specialists, GPs and refugee health nurses. They will be launched at the Doherty Institute in 2016.